Here's a song that I can see doing well here in Ireland and in other international charts. 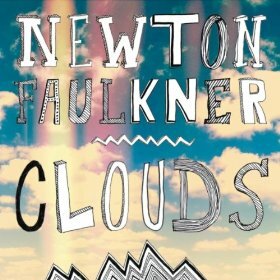 It's Clouds by Newton Faulkner. He has only had one UK singles top 40 chart hit when Dream Catch Me got to number 7 in 2007. His last single Write It On Your Skin got to number 54 in the UK charts earlier this year so it would be great to see Clouds being his second top 40 hit. Here is the video for Clouds and it is the second single from his album Write In On Your Skin.